Logins this hour: 24015 ? 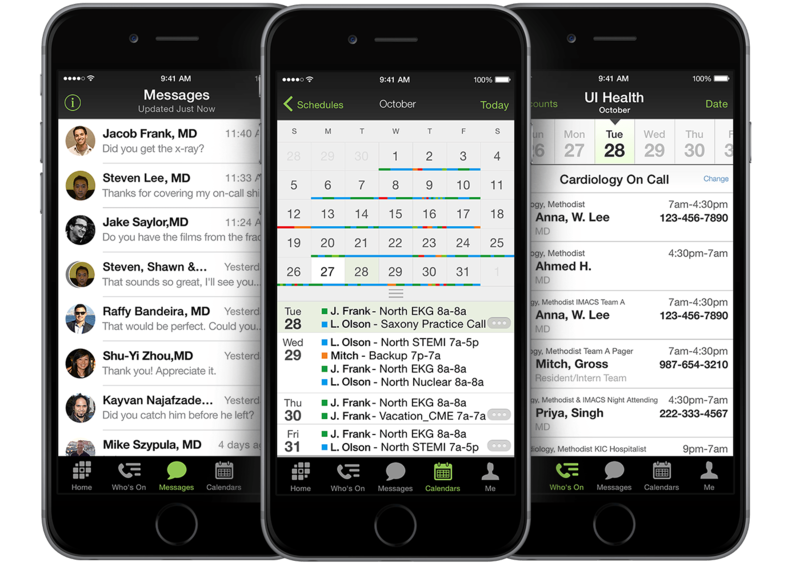 Amion now offers free, HIPAA-compliant secure texting for all Amion schedules. For years, Amion has made it easy to page staff from on-call lists but traditional pagers and SMS text messages are not secure. Hospitals and even small practices can face steep fines if Protected Health Information (PHI) is found in non-secure places, such as on people's phones. Amion aims to make secure messaging simple with two-way messaging within our free Amion mobile app and one-way messaging from Amion web schedules. Amion Secure Messaging operates just like texting but keeps work communication separate from personal chat. The contact list includes only Amion colleagues. Conversations remain inside the Amion mobile app. For top-tier security, texts and images are not stored on your phone. Messages stay within the Amion network and are encrypted on our servers. Other secure-messaging channels require you to unlock the phone and open an app to view a message, even for a simple "OK". Amion's Smart Secure masks names and other personally identifying details and displays some of the message on the lock screen. You'll know at a glance whether a message needs attention. Interested in trying Amion Secure Messaging? Check out our FAQ for details and instructions on using Amion Secure Messaging for your group! Contact carol@amion.com to try secure messaging before its official release. Please refer your physicians to our complete guide to secure texting via Amion.